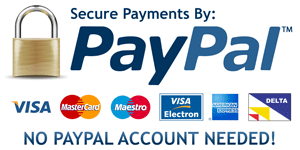 Pay Powell’s Roofing & Siding Now through PayPal! Making a payment through PayPal is easy. You can use your existing PayPal account or pay by credit card even if you don’t have a PayPal account. Find out more information by going to the PayPal website at http://www.paypal.com. When making a payment, you are transferred from our site to the secure PayPal website. We never receive any financial information, passwords, credit card numbers or personal information other than your name and email address. After completing your payment, you are presented with a link which will allow you to return to our site.